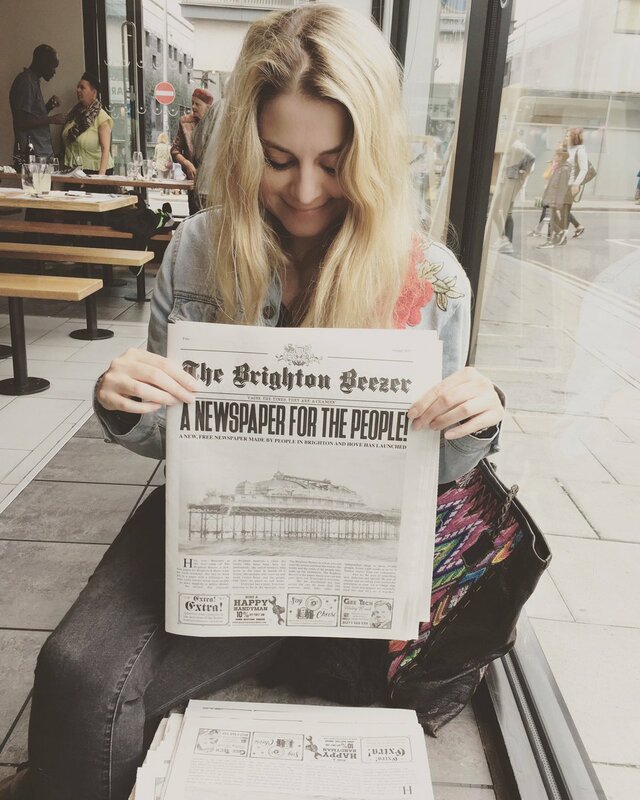 The woman behind a new print newspaper in Brighton with a focus on “honesty” and “integrity” has said she launched it partly to “atone” for helping set up the Mail Online reader comments section. 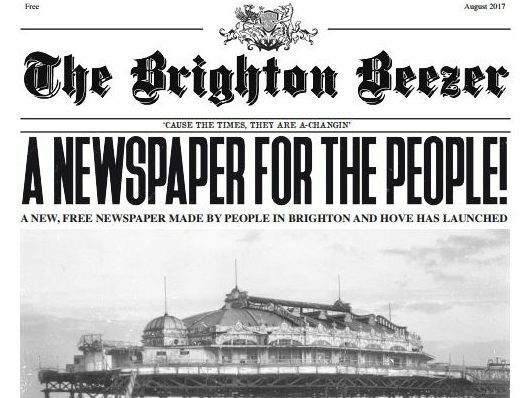 Brighton Beezer founder Ilana Fox was community editor at Mail Online when it launched the below the line comments section in 2005 and helped run the operation, then among the first in the UK. Despite a career dedicated to digital, Fox launched the Beezer on Monday – a newspaper with a particular focus on telling local people’s stories, rather than traditional news. “There’s no news, no politics, no events,” she said. “It’s much more about local people and their thoughts about the city, their dreams, their likes and their dislikes. 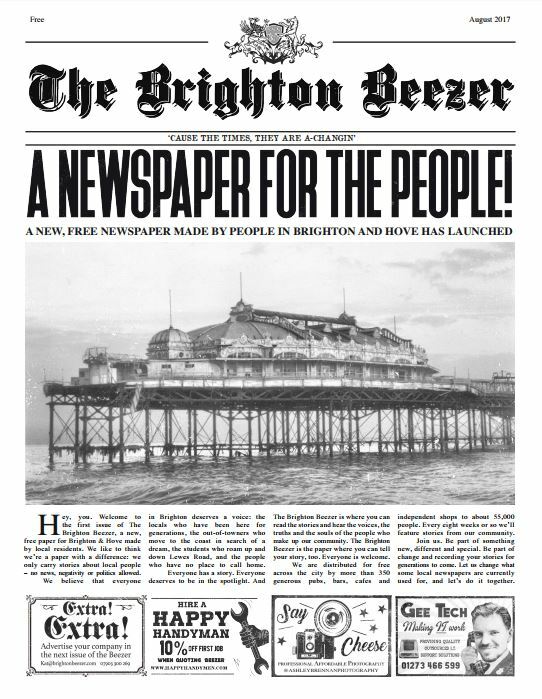 Fox described the Beezer, which had an initial print run of 15,000 copies and is distributed for free around 350 bars and shops in Brighton, as an “alternative way to use newsprint in local communities”. Fox said it followed the likes of the Humans of New York blog series. “I think it’s a backlash to digital and Donald Trump, fake news and the bad vibe on the internet,” she added. “It’s like I’m trying to atone for what I did with the Mail Online readers’ comments [section]. “If you look at the Mail Online reader comments, they’re full of negativity and hatred and intolerance. It’s amazing that people have such diverse views but the way they talk with each other is really quite nasty. I think people get put off with news on the internet because of that. The Beezer is produced by a five-strong editorial team, including Fox, who owns the title through Intrepid Fox Media. She said she plans to make the title monthly – currently it prints every three months – and is looking to create a Bristol edition by the end of the year. She said the decision not to publish traditional news stories was due to the fact that “Brighton is served really well for local news by the Argus and Independent titles”. As a free title the Beezer relies on display advertising and sponsored content to generate revenue. Fox claimed it could break even or make a profit come the next edition, due out October. The design of the Beezer, which prints in black and white only, is “very vintage and retro”, Fox said. “The whole ethos of the paper is that it’s for everyone. Even its adverts are designed by an in-house team to be in line with the paper’s look. Fox, who has worked in commercial and editorial roles across various national titles including the Evening Standard, The Sun and Trinity Mirror Group, invested about £10,000 to get the Beezer off the ground – “I have been saving a lot” – after having the idea in March. The paper is a part-time project fit in around her full time role as a chief growth editor at a website building company. Seriously, hope it goes well.